We have some great Match Night Packages available to make your Night with The Storm that little bit more extra special. Whether you buy a package as a Birthday, Christmas or Wedding Anniversary gift for a family member or friend we are sure they will not be disappointed. Get up close and personal to the action as you watch the warm-ups from the Manchester Storm Bench. Welcome the players onto the ice for warm-ups with a fist-bump or a high five with the Storm. Perform the ceremonial puck drop on the ice with both Captain’s before a game of your choice! Receive a special commemorative Official Manchester Storm Match Puck signed by the player of your choice. Receive a special signed photo with the two team captains. Receive a special commemorative Mascot puck signed by the player of your choice. Receive a special signed photo with the player of your choice. Lead the players on to the ice for their warm up. Line up with the players on the blue line for the National Anthem. Present the referee with the puck for the ceremonial puck drop. Skate with the Storm players on their post match lap of honour. Receive a special commemorative Birthday puck signed by the player of your choice. 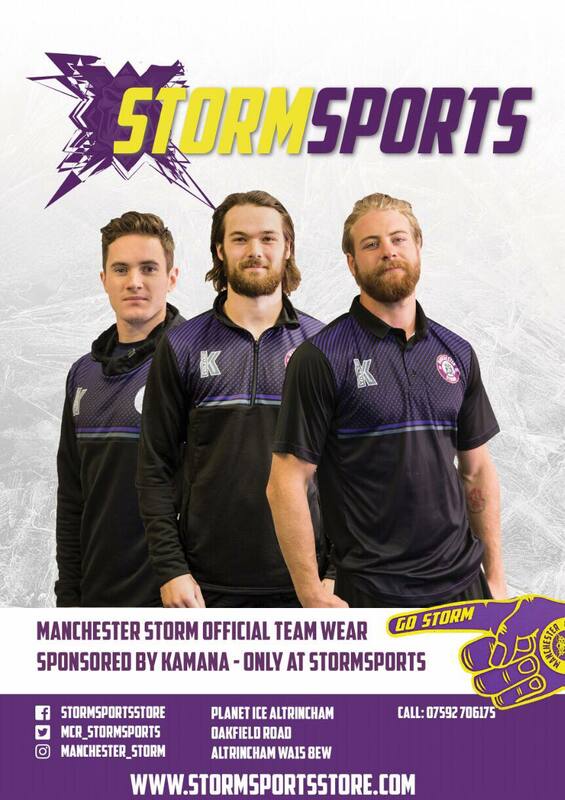 Receive a unique Manchester Storm iced birthday cake presented by the player of your choice. Receive a personalized signed birthday card signed by the entire 18/19 Roster. Receive a special commemorative Ultimate Fan puck signed by he player of your choice. Personal locker room & behind the scenes tour. Photo in front of your favourite player’s changing stall. A unique chance to see what goes on behind the scenes ahead of a big game. This interactive experience gets you onto the Storm bench to watch pre-game player warm-ups and get ready for battle. Receive a special commemorative Bench Warm Up puck signed by the player of your choice.